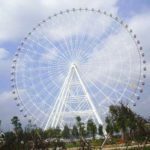 If necessary, the 45 meter ferris wheel will be equipped with lighting system which will present passengers a beautiful sight at night. Air conditioning system could be added to offer convenience for passengers. 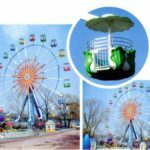 Quantities of gondolas, heights and colors of the ferris wheel rides can be customized. 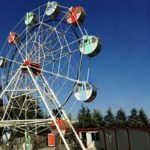 We use quality strong steel materials to make high quality ferris wheel rides. 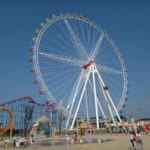 We have two types of gondolas, the round gondolas and square gondolas. 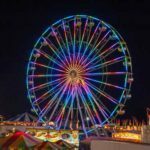 Free ferris wheel rides design and installation videos. 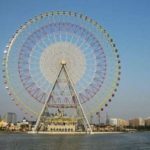 We use aluminum alloy sheet, the surface coating of high-grade paint, colorful and beautiful, and strong anti-corrosion performance. We use import acrylic sheet for the window with good light and strong anti-aging characters. Passengers in the gondolas will enjoy the scenery clearly. 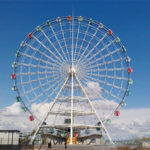 Recently, we have two new orders of large ferris wheel, one is the 50 meter ferris wheel to Mexico, the other one is a 42 meter ferris wheel Uzbekistan. 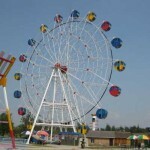 Except the 45 meters ferris wheel rides, Beston also manufactured other different kinds of Ferris wheel rides. 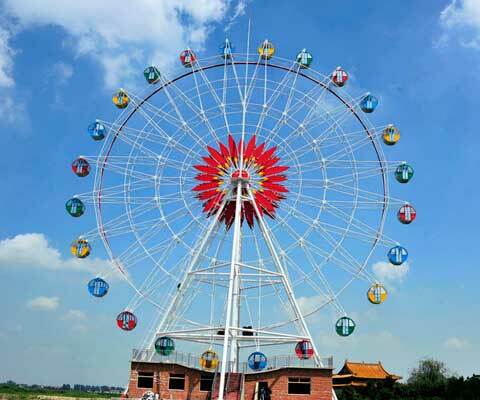 Welcome to buy ferris wheel from Beston Group.